Get started today by telling us about your project and experience the difference for yourself! Whether it’s Power & Lighting, Fire & Security, Data Telecommunication, or Automated Temperature control, ROS Electric’s Team of experienced professionals will work with you from design on through to commissioning to help make your project a success. ROS Electric traces its roots back to 1989 in Bergen County, New Jersey and since then have never looked back. 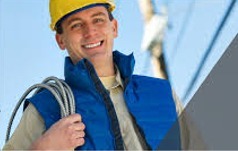 With hundreds of successful projects under our belt, we can proudly say that we are one of the most trusted electrical contractor companies in New Jersey. ROS Electric is well known for its innovation and by collaborating successfully with our customers, designers, sub-contractors, consultants as well as suppliers; we have been able to provide more specialized level of services. We are continuously evolving and understand the different aspects of delivering high value construction and complex projects with ease.